Jonathan Parker, 33, of Averton Square, Nottingham pleaded guilty to assaulting a female by beating her. He was fined £200 with £30 victims surcharge and £85 costs. Laura Varley, 24, of Jephson Road Sutton pleaded guilty to assaulting a female by beating her and being drunk and disorderly in a public place. A community order was made with an alcohol treatment requirement and a rehabilitation activity requirement. A restraining order was made. She was fined £120 with compensation of £200 and costs of £310 and victim surcharge of £85. Levi Hodgson, 24,of Shirland Drive Mansfield admitted stealing a Barclays bank card from a female. He was discharged conditionally for 18 months and ordered to pay compensation of £230 with £20 victim surcharge and £85 costs. John Joseph Readman, 35, of Austin Close Mansfield admitted stealing tools worth £69.93 from B&M . He was discharged conditionally for 12 months with £20 victim surcharge and £40 costs. Tyrone John Pearson, 28, of Perlethorpe Avenue Meden Vale, admitted stealing a wallet and bank card. He admitted two charges of fraudulently using a stolen bank card by purchasing goods contactlessly. It was committed during the operational period of a suspended sentence order. He was committed to prison for a total of 28 weeks and to pay compensation of £83.98. Kelly Jayne Bailey, 31, of Rosewood Drive Kirkby admitted stealing two lanterns from Morrisons, several bottles of mouthwash from Well pharmacy, two camping stools, and childrens’ toys from Wm Morrison. A community order was made with a curfew requirement of six weeks and a rehabilitation activity requirement and a drug rehabilitation requirement. She was ordered to pay compensation of £15 with £85 victim surcharge and £85 costs. Aiden Lewis Leonardi, 29, of Newton Street Mansfield admitted being drunk and disorderly in a public place. He was fined £40 with a victim surcharge of £30 and costs of £85. Anthony Joshua Walsh, 28 of Newton Street, Mansfield admitted being drunk and disorderly in a public place. He was fined £98 with £30 victim surcharge and £85 costs. Michael Davies, 30, of New Street, Kirkby admitted harassing a female. A community order was made with a rehabilitation activity requirement. A restraining order was made. He was ordered to pay costs of £85 and victims surcharge of £85. 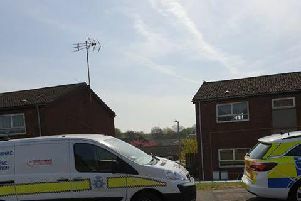 x Steven Bray Swain, 18, of Coxs Lane Mansfield Woodhouse admitted being on Spruce Grove and Rosewood drive Kirkby while prohibited from doing so by a criminal behaviour order. A community order was made with a rehabilitation activity requirement. He was fined £100 with £85 victim surcharge and £85 costs. James Alistair Manley, 40, of Gladstone Street, Mansfield admitted driving without a licence and insurance. he was fined £120 and his driving record endorsed with six points. He also admitted stealing steak to the value of £19.50 from Co-op stores. A community order was made with a drug rehabilitation requirement. He wass ordered to pay compensation of £19.50 with £85 victim surcharge and £85. Antony David Robertson, 45, of Hardwick Street, Mansfield admitted driving with 84 mcg of alcohol in 100 ml of breath when the legal limit is 35mcg. He was fined £120 with £30 victim surcharge and £85 costs. He was disqualified from driving for 21 months. £30 victim surcharge and £85 costs and disqualified from driving for 12 months. Jason William Tilstone, 32, of Byron Street Shirebrook admitted driving without due care and attention and without insurance. He was disqualified from driving for 12 months and fined £120 with £30 victim surcharge. Patrick William Coombs, 20, of Marthall Lane Ollerton was found guilty of driving on the M1 while using a mobile phone. He was fined £135 with £30 victim surcharge and disqualified from driving for six months . Disqualification due to repeat offending. Petras Juozunaitis, 57, of George Street, Mansfield admitted driving with 137 mcg of alcohol in 100ml of breath, while disqualified from driving. He was committed to prison for 14 weeks . He deliberately breached a court order and was a real risk to the public being four times the legal limit. He was ordered to pay a £115 victim surcharge and was disqualified from driving for 36 months. Christopher David Croft, 23, of Saint Pauls Road Worksop admitted possession of cannabis. He was fined £80 and ordered to pay costs of £85 with £30 victim surcharge. Wayne Marriott, 46, of Nursery Court Mansfield admitted contacting a female while prohibited by a restraining order. He was committed to prison for 12 weeks suspended for 12 months with £115 victim surcharge and £85 costs.